Mounting a projector screen on the ceiling should only be reserved for special cases. This style of installation usually works best when the screen you are attempting to install boasts of a large black border at the top, and it can be adjusted. If you place your projector screen up too high, you will lose the option to influence where the projected image will first be viewable. You will also need to identify what you need the projector screen for. Whether you need a projector to watch an HD movie ( >>> JVCRS 400 can be the right pick) or give a PowerPoint presentation at work, you will need a projector that best meets your requirements and suits your need. However, hanging a projector screen from the ceiling has other benefits as well. For instance, the screen will be unobtrusive when not in use. 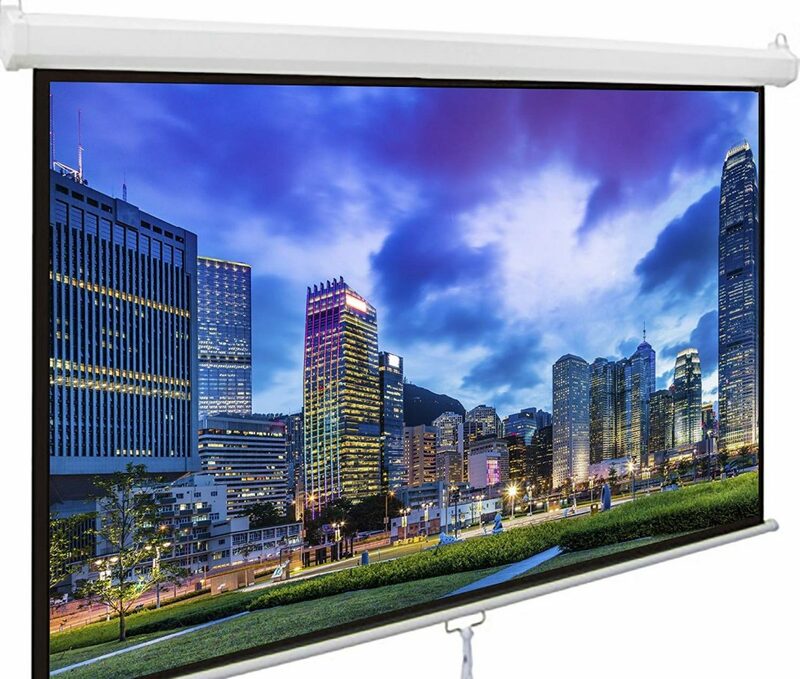 And, if the screen is motorized, it can be easily and conveniently raised and lowered with remote control. Retractable projector screens that are mounted on the ceilings (>>>Find great projector screen offers on Amazon) are impervious to damage and are less noticeable than wall projector screens. 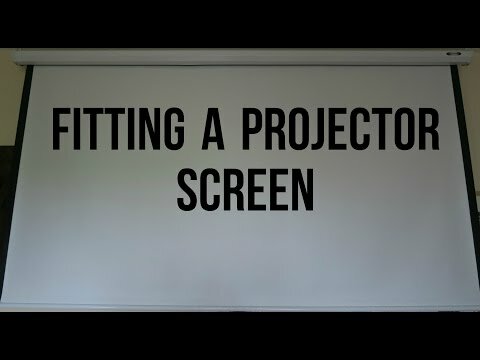 Without straying away from the topic any further, here´s what you need to do to hang a projector screen from the ceiling. First and foremost, you will require a ladder to identify the part of the ceiling that will hold one end of the projector screen housing. While on the ladder, you should use a stud sensor to locate the ceiling joists. The drywall used to finish most ceilings is simply not strong enough to hold a projector screen. Hence, it is essential for you to locate the wood ceiling joists, as they´ll offer an appropriate anchor for securely fastening the brackets to the ceiling. After you are done locating the ceiling joists, you should take care to center each bracket on each joist so that the screws will properly anchor the bracket. Then, you should mark the holes in the bracket where the screws will go and drill holes in them. 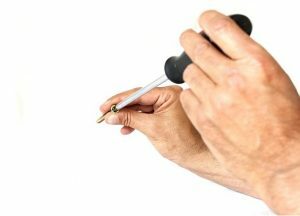 When drilling, you should be careful to hold the drill in a proper vertical position to ensure that the screws will go in straight. After you are done drilling the holes, you should use a screwdriver to securely fasten the bracket to the stud using the screws provided. In order to attach the other bracket to the ceiling, we would recommend you to repeat the aforementioned steps again. After you attach the bracket to the ceiling on both the sides, you can attach the projector screen and case to the brackets. Sometimes, the height of a traditional ceiling just proves to be perfect. However, it is also entirely possible for the height of the ceiling to be too high. If such cases arise, you can use bracket extensions to bring the projector screen and housing down to a more appropriate level. We would advise you to follow the manufacturer´s instructions at all times. Previous articleHow To Connect Projector To Laptop Without VGA Port?